Every year season is marked by new trends in the food industry. 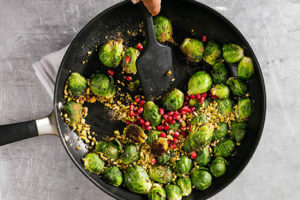 Previous examples include Asian influences fused with American comfort foods, bacon-studded desserts and truffle oil on everything under the sun. In the past few years, however, chefs and culinary arts students alike have reintroduced the egg into fine dining. You’d be hard pressed to find a menu that doesn’t include an appetizer or entree with an egg of some kind on it. 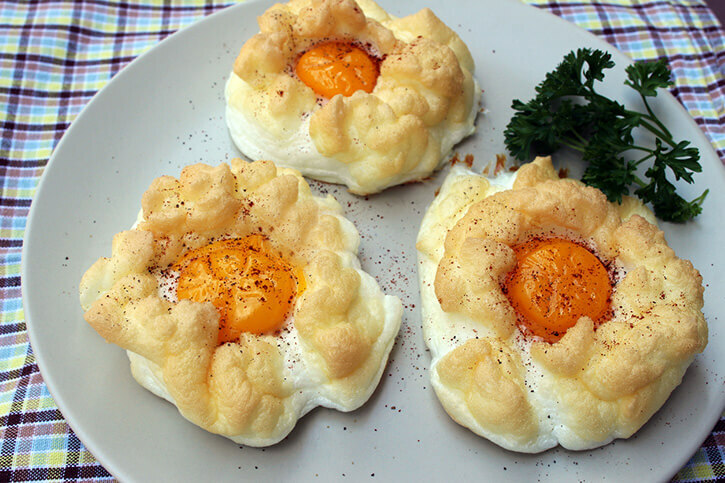 In fact, the one of the most popular egg dishes today is the cloud egg. There’s a reason why cooks on Top Chef frequently undergo the test of making an omelet. Although eggs are one of the most versatile foods, they can also be tricky to prepare properly if a chef is not careful and attentive. Cloud eggs share that quality. These creations consist of a bright yolk set in place by a bed of egg whites arranged to look like clouds. While cloud eggs may seem like a new food fad, they actually got their start in 17th century France, Daniel Gritzer, the culinary director at Serious Eats, told NPR. The recipe for oeufs a la Neige, translated to “eggs in the snow,” was published in Le Cuisinier Francois in 1651. These eggs of yore were baked in on top of coals and warmed from above using a tool called a salamander. Today, the name “snow eggs” refers to a dessert made with meringue and custard as opposed to the funky breakfast dish of the past. One of the best things about cloud eggs is that they don’t take long to make! All you need is 15 to 20 minutes to create this trendy breakfast dish. 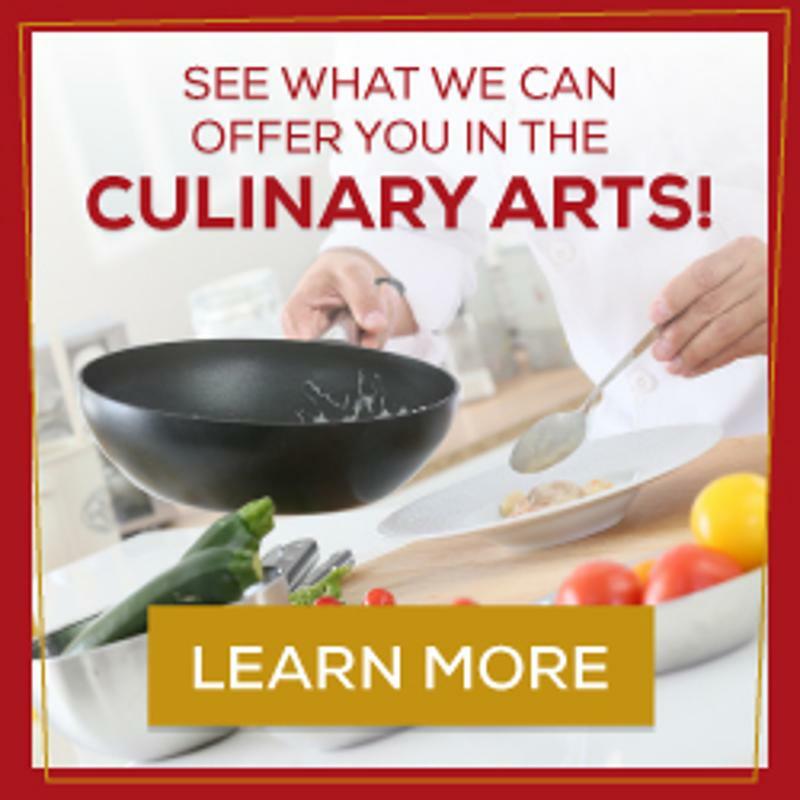 Culinary arts students can perfect the cloud egg by adding some of their favorite ingredients – like ham, grated cheese and chives – to the egg whites for a little extra flavor, according to Delish. To start, heat your oven to 450 degrees. Be careful when separating egg whites and egg yolks and store them in two different bowls. Whisk egg whites by hand or with a mixer, forming mounds as you go and folding in any extra ingredients you’ve chosen. Mold these peaked whites into mini-nests and bake for about three minutes or until they are a little golden on top. Place the egg yolk in the middle of the cloud and bake again for another three minutes. Voila, serve on the side of a larger breakfast recipe or on their own! Cloud eggs are a cool creation, but social media has really brought the recipe to the forefront of the food industry’s list of yearly fads. 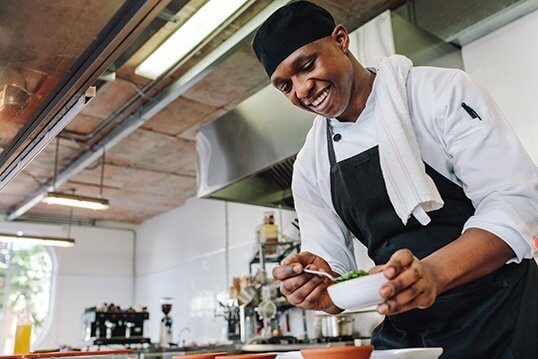 Platforms like Instagram enable culinary arts students and other fledgling cooks to share recipes and tricks of the trade. When you make your next cloud egg, don’t forget to post a picture to social media!